Here’s why the four day, cutting-edge cycling model is now also an important fixture on the world cycling calendar. 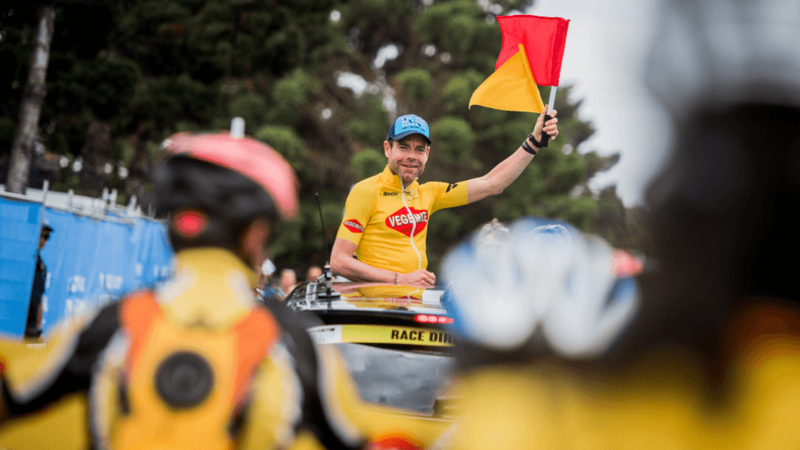 From all measures the 2019 Cadel Evans Great Ocean Road Race was the event’s most successful staging since its 2015 inception. 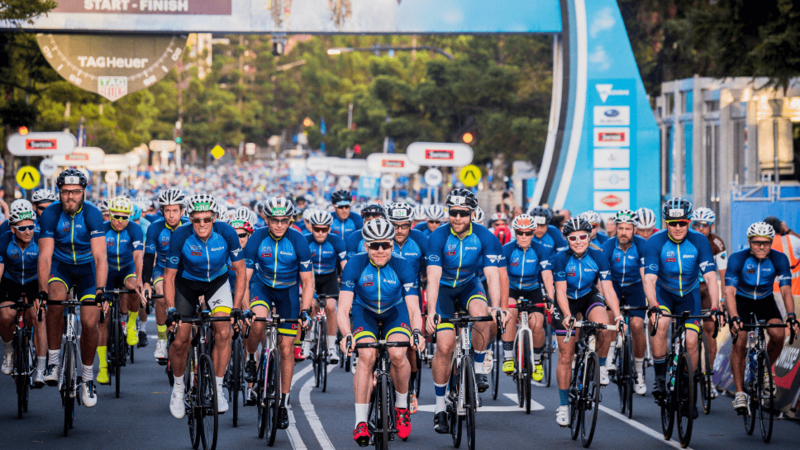 And, Signature Sport was proud to once again partner with Visit Victoria to help deliver the premier weekend of cycling. 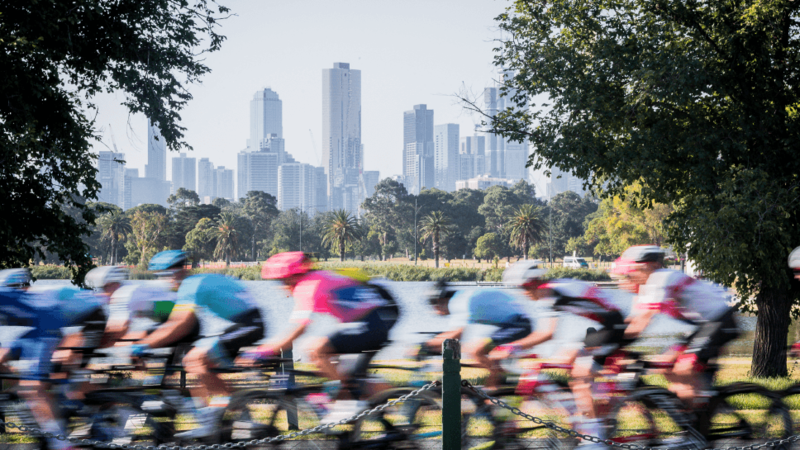 This year, more than 120,000 spectators lined the courses at Melbourne’s Albert Park for Towards Zero Race Melbourne, and in Geelong and surrounds for the Elite Men’s modern day classic and the Deakin University Elite Women’s Road Race. 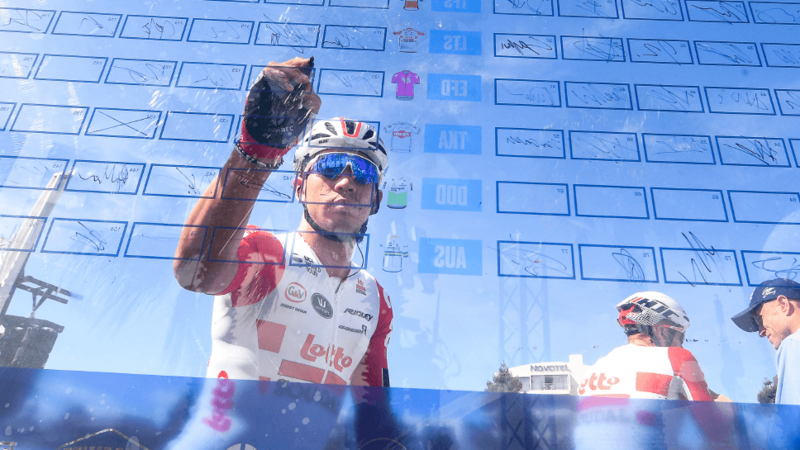 The late January event – now a permanent fixture on the world cycling calendar – attracted its strongest line up of teams from across the globe, including BORA – Hansgrohe, Deceuninck – Quick Step, Team Dimension Data, Trek-Segafredo, Team Sky, EF Education First and Mitchelton-SCOTT. There’s no doubt cycling fans, riders and organisers alike enjoyed the exhilarating atmosphere. Take a look. 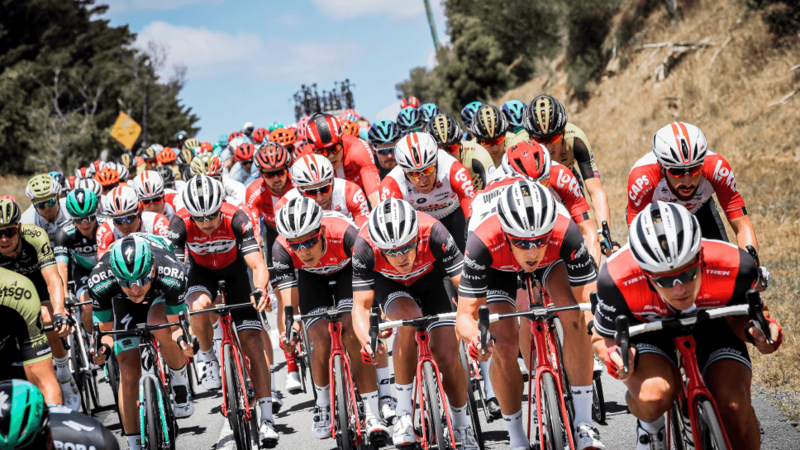 Millions of cycling fans around the world tuned in to the live broadcast of the Cadel Evans Great Ocean Road Race 2019 thanks to pan-regional partnerships in every continent. While on home soil, Sunrise sports presenter Mark Beretta hosted the live coverage across Australia of the Men’s road race on Channel 7 and 7plus, with Tour de France commentator Matt Keenan, triple Tour de France Green jersey winner Robbie McEwen, and Spanish Classic specialist Juan Antonio Flecha calling the action. 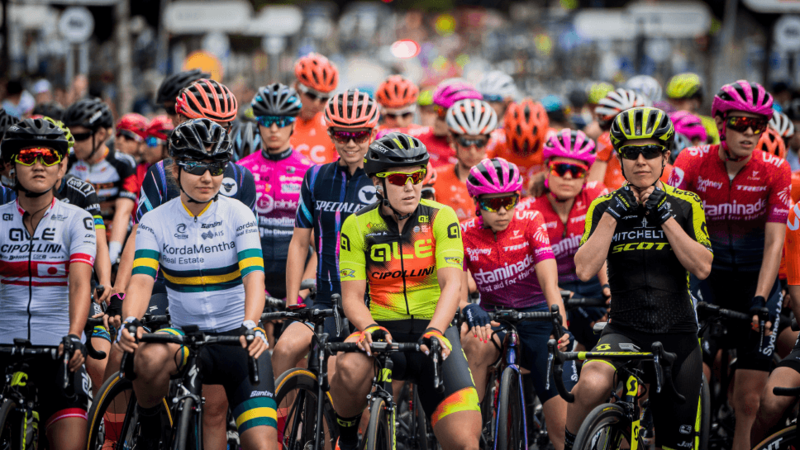 The Deakin University Elite Women’s Road Race was broadcast live on 7TWO and streamed live on 7plus. Race highlights were also seen on Channel 7, 7TWO and 7plus on Sunday 27 January. 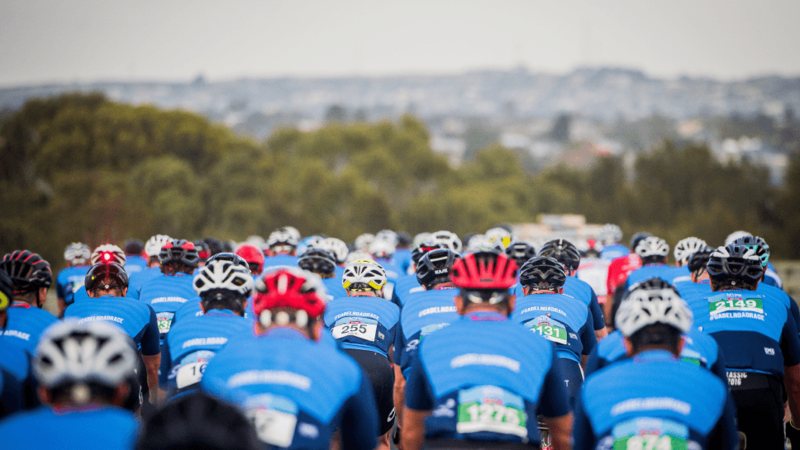 This year, close to 4000 people challenged themselves in the Swisse People’s Ride across three distances – 35km, 65km and 115km. Familiar faces joined the peloton as Swisse People’s Ride ambassadors including Geelong Cats’ AFL superstar Patrick Dangerfield, funny-man Hamish Blake, the first non-European to wear the yellow jersey in the Tour de France Phil Anderson, former North Melbourne player and Puka Up founder Wayne Schwass, Melbourne ruckman Max Gawn and former Sydney Swans player Alex Johnson. The Sports Directors of each Elite Men’s team also joined the ride in their team kits, which was a unique and brilliant experience for everyone involved. And, of course, the ride wouldn’t be complete without 2011 Tour de France champion Cadel Evans, who led from the front for the first hour of the ride before settling in with fans. The inaugural Vegemite Family Ride attracted more than 600 children who rode with family and friends in the Geelong Waterfront circuit. Signature Sport was thrilled to see the success of the partnership with one of Australia’s most iconic and loved brands. 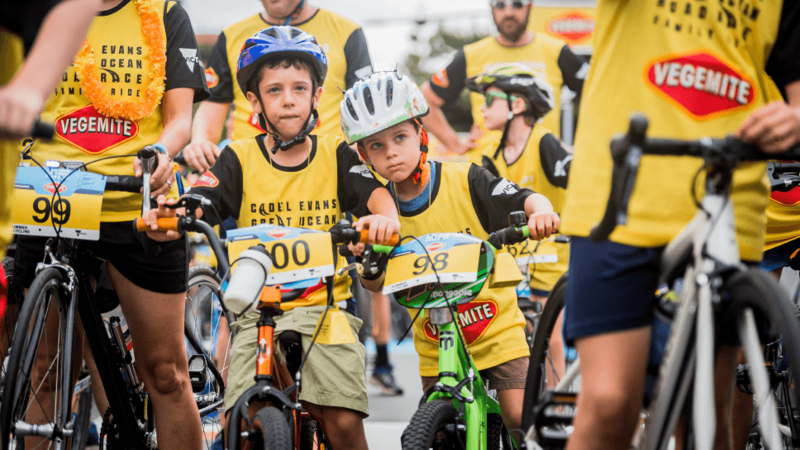 Vegemite’s enthusiasm for helping families and the community come together to enjoy active living through cycling is exciting and important. Work is already underway for the 2020 edition with exciting plans ahead for how we can make this event even bigger and better in the years to come. In the meantime, why not relive the Cadel Road Race from inside the peloton thanks to Velon.